2010. Does that seem like a long time ago? 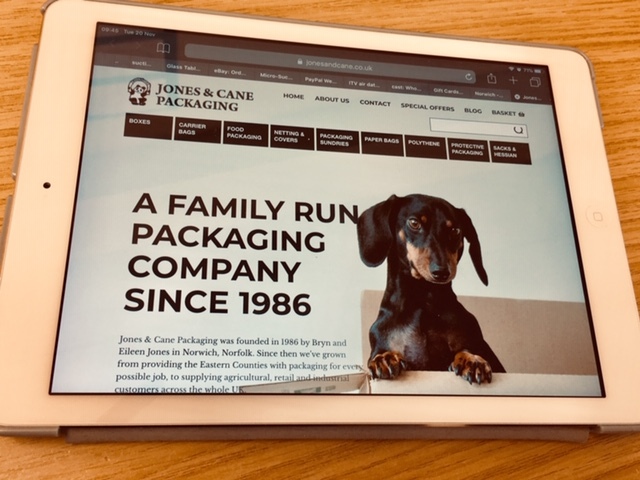 It’s the year the first Jones & Cane website was designed, and as we discussed our redesign, we also wondered how our use of the internet has changed since then. Several of us hadn’t bought our first smartphones yet (some of our erm, less youthful colleagues still haven’t!) and none of us had a tablet. We browsed the internet on laptops and, the horror!, sometimes had to wait until we got to work to reply to an email. So, in terms of our online habits, yes, 2010 was a really long time ago. Which is why our website overhaul was important. A key feature of the new site is its ability to give users an experience that’s automatically tailored to the device they’re using. Menus and navs have been redesigned to fit every screen, and pages have been designed to fit varying dimensions. Fewer unnecessary bells and whistles on key pages mean loading times are perfect for mobile browsing, and the clear layout won’t baffle your eyes even if your screen is a little dinky. This ability to browse and order on the move ties in well with our commitment to fast, efficient delivery. Buying from us and receiving your goods should be smooth experiences. And although it’s our bread and butter we’re aware that packaging isn’t necessarily a thing you want to spend a lot of your time on – time better spent on your core business. So, we hope these moves to speed things up and our swift delivery will free up at least a few minutes in your busy day.